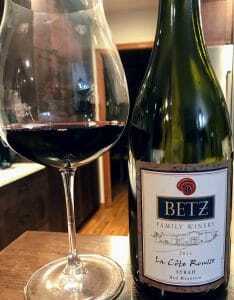 A few quick thoughts on the 2007 Efeste Final-Final red blend from the Columbia Valley. Efeste was founded in 2005 by Daniel and Helen Ferrelli, Patrick Smith, Kevin and Angela Taylor. The name comes from the phonetic pronunciation of an acronym using the founders’ last names, F-S-T. In 2007, Brennon Leighton was hired as head winemaker on the recommendation of consulting winemaker Chris Upchurch of DeLille. Leighton would stay on at Efeste for nearly 5 years before leaving in 2012 to join Charles Smith Wines. That same year he harvested the first fruit for his own label, B. Leighton Wines. He was succeeded by Peter Devison (who also made the Sound Purveyors Cab we’ve reviewed). Mark Fiore, formerly of Beresan, Balboa Winery and Charles Smith Wines, is now the current winemaker for Efeste. 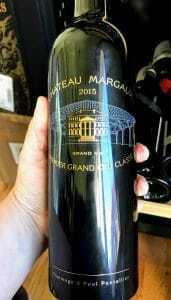 The 2007 Final-Final is a blend of 56% Cabernet Sauvignon, 42% Syrah and 2% Mourvedre. Around 3000 cases were made. Medium-plus intensity nose. Still a noticeable core of dark fruit–blackberry and currant–for a 10+ year old wine but the bouquet is dominated by spicy and savory tertiary notes. The savory, spicy character of this wine reminds me of a delicious lamb curry dish. 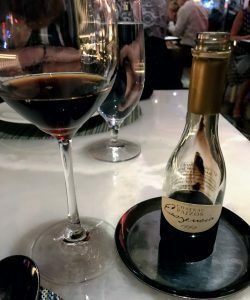 On the palate those tertiary notes still hold court with a lot of Indian spices like Garam Masala and meatiness that is amplified by the mouthwatering medium-plus acidity. The medium-plus tannins are still present but very velvety and soft as they hold up the medium-plus body fruit. Long finish ends on the savory notes. While I’ve certainly enjoyed more recent releases of Efeste’s Final-Final, I honestly can’t remember the last time I was this blown away by the wine. 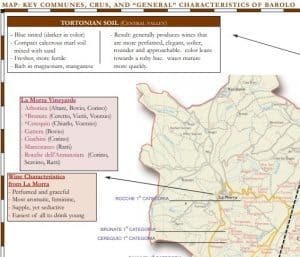 It could be a combination of the wine aging well, the inclusion of Mourvedre (which hasn’t been used in recent vintages) or the differences in winemaking style from changing winemakers. This wine is an absolute steal for folks who bought it on release at $23-27 and still have bottles. Even as a library wine, it’s still a compelling value for $40-45. Tagged Angela Taylor, B. Leighton Wines, Balboa Winery, Beresan, Brennon Leighton, Cabernet Sauvignon, Charles Smith Wines, Chris Upchurch, Columbia Valley, Daniel Ferrelli, Efeste, Helen Ferrelli, Kevin Taylor, Mark Fiore, Mourvèdre, Patrick Smith, Peter Devison, Red blend, Sound Purveyors, Syrah. 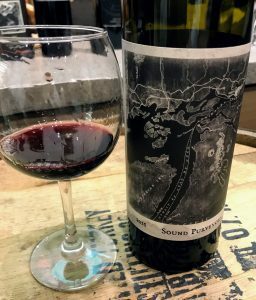 A few quick thoughts on the 2016 Sound Purveyors Cabernet Sauvignon from the Columbia Valley. 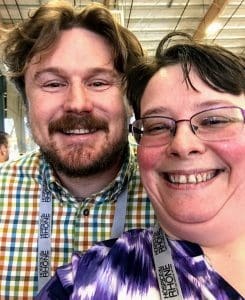 Sound Purveyors is a collaboration project between winemakers Morgan Lee of Two Vintners and Peter Devison, formerly of Efeste and now with Cadaretta in Walla Walla. 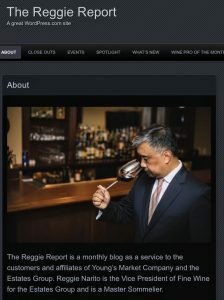 In 2016, Lee was named a “Winemaker to Watch” by Seattle Magazine as part of their 11th Annual Washington Wine Awards. 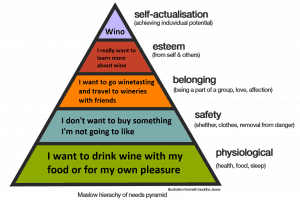 Devison is a Canadian winemaker who studied viticulture in New Zealand. He worked harvests both there and in Australia before moving to Washington in 2005. His first job in the state was at Tsillan Cellars in Lake Chelan. In 2007, he moved to Precept Brands to oversee the winemaking of Alder Ridge and Apex Cellars. 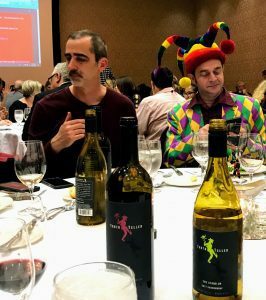 In 2012, he succeeded Brennon Leighton as head winemaker of Efeste where he stayed until leaving in 2017 to join the Middleton family’s Cadaretta winery and to oversee the production of their second label, Inconceivable. The majority of the fruit for the 2016 Sound Purveyor Cabernet Sauvignon comes from Red Mountain. The French oak spice in this wine compliments the big fruit. Medium intensity nose. Rich black currants and plums with noticeable oak spice. 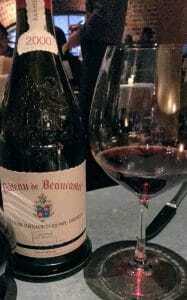 On the palate, those dark fruits come through but balanced by medium-plus acidity. The ripe, high tannins hold up the full-bodied fruit and are softened by the creamy vanilla from the oak. Moderate length finish ends on the dark fruit and oak spice. I enjoyed this young full-bodied and rich Cabernet Sauvignon. It will certainly be giving pleasure for several years. 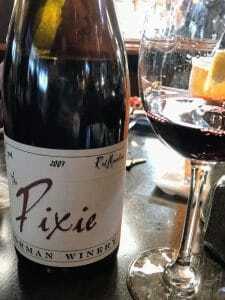 Crafted by two of the best winemakers in Washington, it’s a very delicious and well-made bottle in the $25-30 range. Tagged Alder Ridge, Apex Cellars, Brennon Leighton, Cabernet Sauvignon, Cadaretta, Cindy Lawson, Columbia Crest, Columbia Valley, Covington Cellars, David Lawson, Efeste, Middleton family, Morgan Lee, Peter Devison, Precept Brands, Red Mountain, Seattle Magazine, Sound Purveyors, Tsillan Cellars, Two Vintners, Washington Wine Awards. 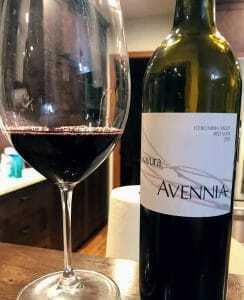 A few quick thoughts on the 2011 Avennia Gravura from the Columbia Valley. 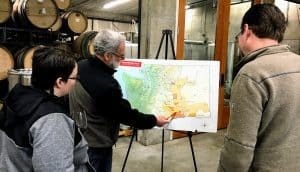 Avennia was founded in 2010 by Marty Taucher, an alum of the Northwest Wine Academy, and Chris Peterson, a protege of Stan Clarke and Walla Walla Community College’s Enology and Viticulture program. 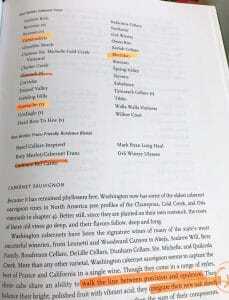 Prior to starting Avennia, Peterson worked at Dunham Cellars, Forgeron and Glen Fiona in Walla Walla before joining Chris Upchurch at DeLille Cellars for seven years. In addition to his work with Avennia, Peterson also makes the wine for Dan Marino and Damon Huard at Passing Time Winery. The 2011 Gravura is a blend of 63% Cabernet Sauvignon, 29% Merlot and 8% Cabernet Franc that spent 20 months aging in 50% new French oak. Around 625 cases were made. The fruit for Gravura is usually sourced from the Sagemoor Vineyard in Columbia Valley and Klipsun Vineyard, owned by the Teralto Wine Group, on Red Mountain. In 2011, the wine also included some Cabernet Sauvignon from Efeste’s Angela’s Vineyard. Medium-plus intensity nose. A mix of dark and red fruits–currants and berries–with some savory “roasted chicken herbs” like rosemary and thyme. There is also a very Bordeaux-like cedar cigar box note in the background. The savory roasted chicken herbs add to the complexity of this wine. On the palate, that same mix of dark and red fruits carry through but the savory herbal notes gets more smokey with some of the Cab Franc graphite pencil lead also emerging. 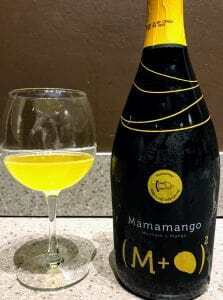 Medium-plus acidity keeps the palate very fresh and mouthwatering. The medium-plus tannins are soft at this point but still very much present and balanced very well by the full-bodied fruit. Long finish. 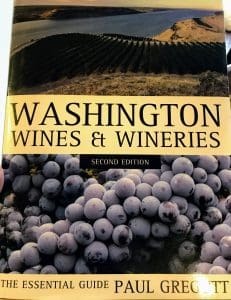 The cool 2011 vintage in Washington often gets overlooked–especially being followed by the “Goldilocks” 2012 vintage–but the truism that “good winemakers make good wine even in rough vintages” is still very apt. Like with several of the 2011 Betz wines I recently reviewed, this 2011 Avennia Gravura is blossoming and drinking in its prime right now. At around $35-40, this is a terrific Bordeaux style blend that is well worth finding. Tagged Angela's Vineyard, Avennia, Betz Family Winery, Bordeaux blend, Cabernet Franc, Cabernet Sauvignon, Chris Peterson, Chris Upchurch, Columbia Valley, Damon Huard, Dan Marino, DeLille Cellars, Dunham Cellars, Efeste, Forgeron, Glen Fiona, Klipsun Vineyard, Marty Taucher, Merlot, Northwest Wine Academy, Passing Time Winery, Red Mountain, Sagemoor Vineyards, Stan Clarke, Teralto Wine Group, Walla Walla Community College, Washington vintages.